Adobe is Great! However, if you don't have the money to buy their high priced creative packages, I'm here to help! Nothing beats FREE. Amazing Open Source Programmers in the world—looking out for the little guys, like me and you. You came here to this post for three reasons, so I don't intend to waste anymore of your time. 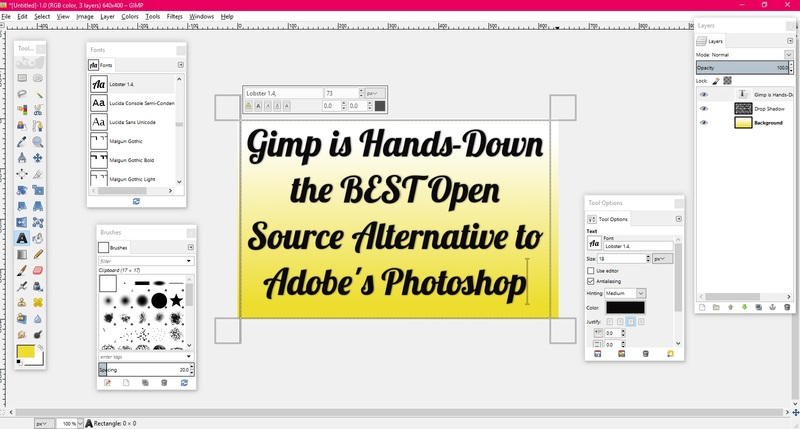 Gimp is truly an all-in-one alternative to Adobe Photoshop. A full feature, desktop program—there virtually is nothing more you can do in Adobe Photoshop that you can't do in GIMP. I've been using this program for countless years and still find myself learning new ways of doing things. 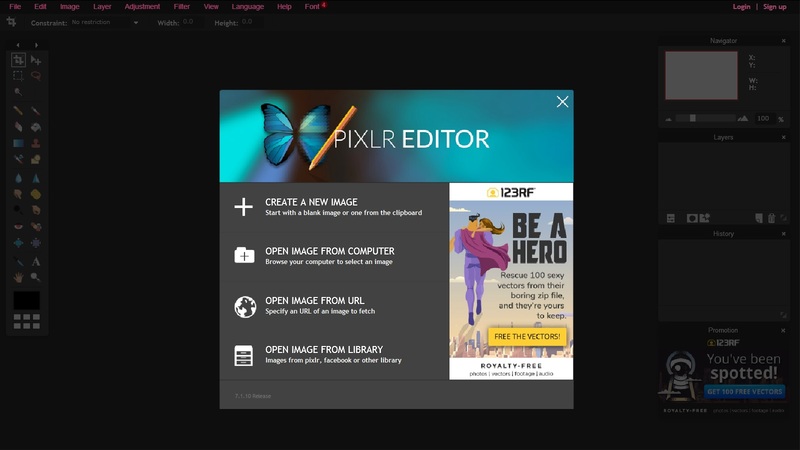 Pixlr Editor is a great choice for those of you not interested in downloading a fully-loaded program to your PC. 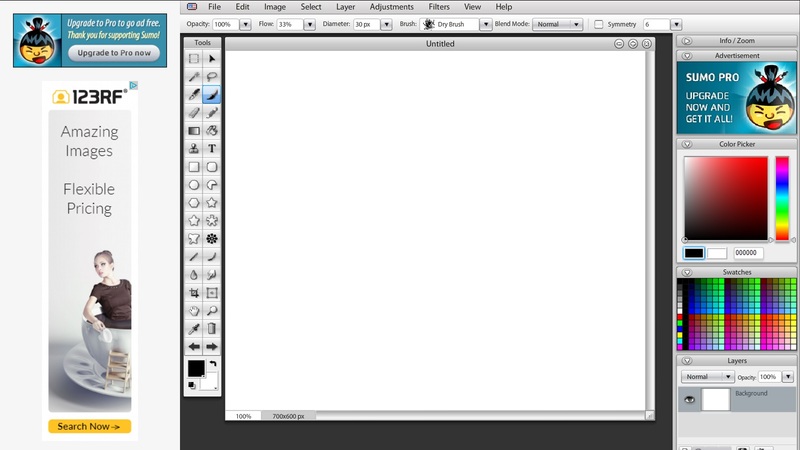 As you can see from the screen shot, you have access to all of the same tools and functions that Adobe Photoshop offers. If you are familiar with Adobe Photoshop, you'll feel right at home in Pixlr. The only real differences? You don't have to install anything and it's FREE! Finally, there is SumoPaint. SumoPaint is a decent online photo editing program that, like Pixlr, you can use directly in your browser. 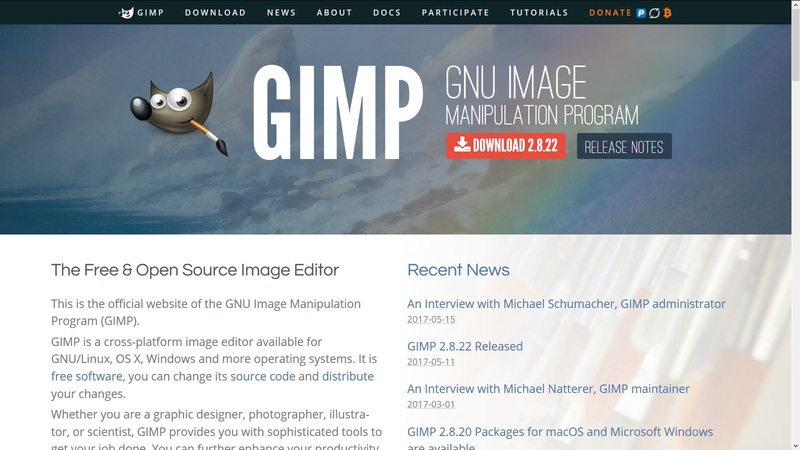 As you can see from the image above, the layout is very similar to Pixlr—a little less functionality is available with SumoPaint but still a great FREE source for when you need to edit a photo or design a quick graphic. 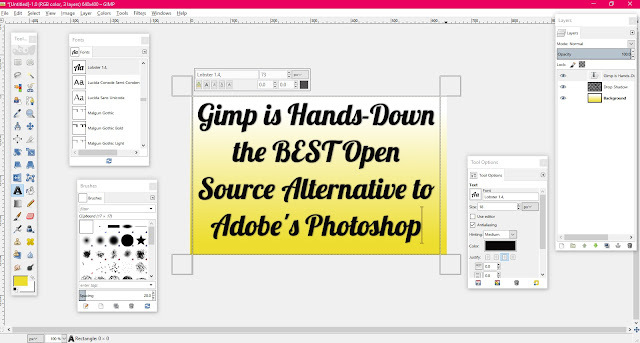 While I think Pixlr and SumoPaint are great Free alternatives to Photoshop, you can't pry me away from my ever-growing love of GIMP. There is endless versatility when working with GIMP. Not to mention that since it is a fully featured downloadable program, one is not dependant on an internet connection in order to do their work. In the end, you will need to experiment and decide what suits your needs best. If basic photo editing is all you are looking for, then perhaps Pixlr or SumoPaint would be a much more attractive alternative.